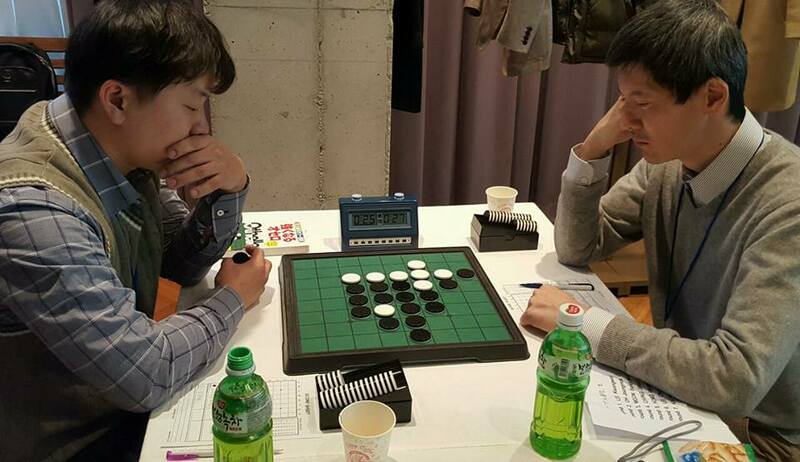 8x7 Othello, the Suekuni opening? 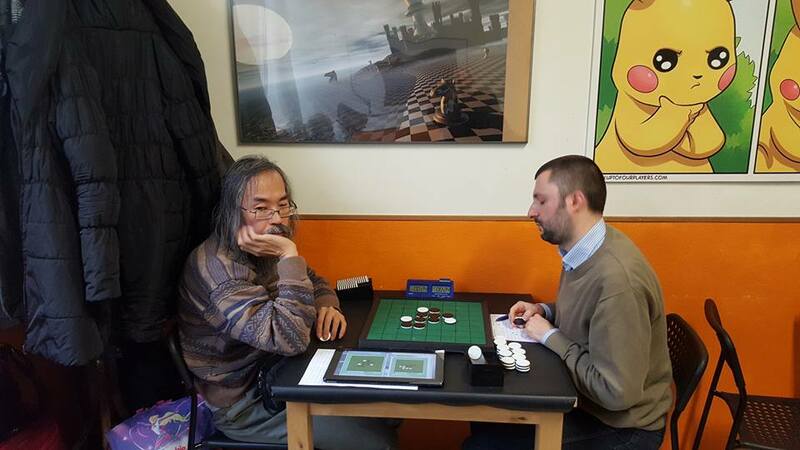 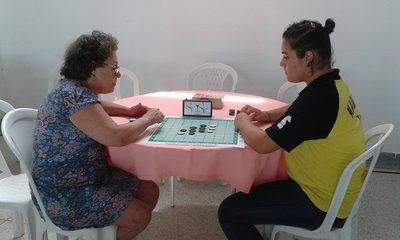 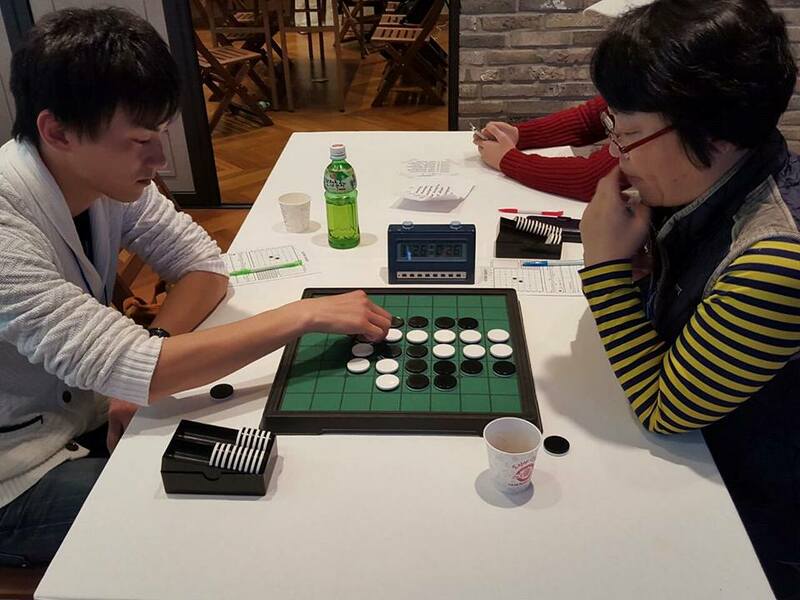 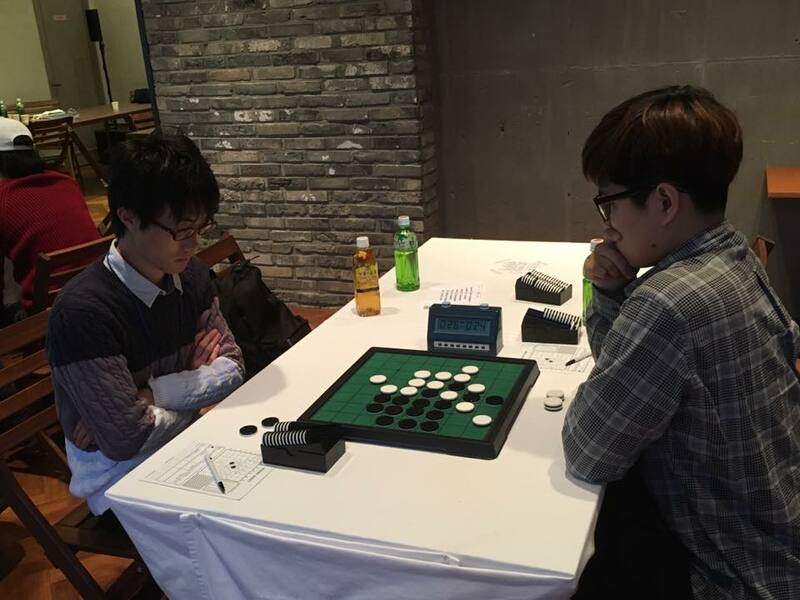 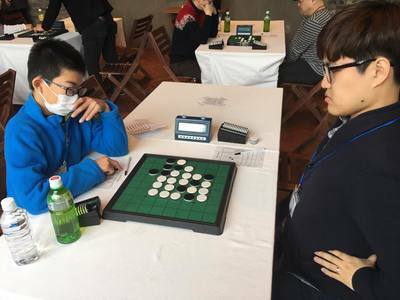 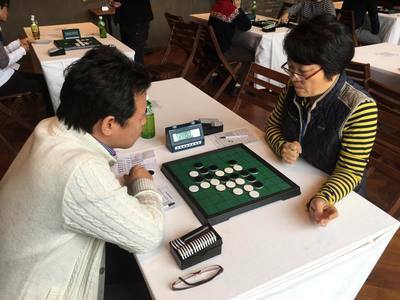 On Facebook I found this picture of Makoto Suekuni, about to make his first move in a game of 8x7 Othello against Hisako Kinoshita. I suppose the board belongs to Hisako's daughters. 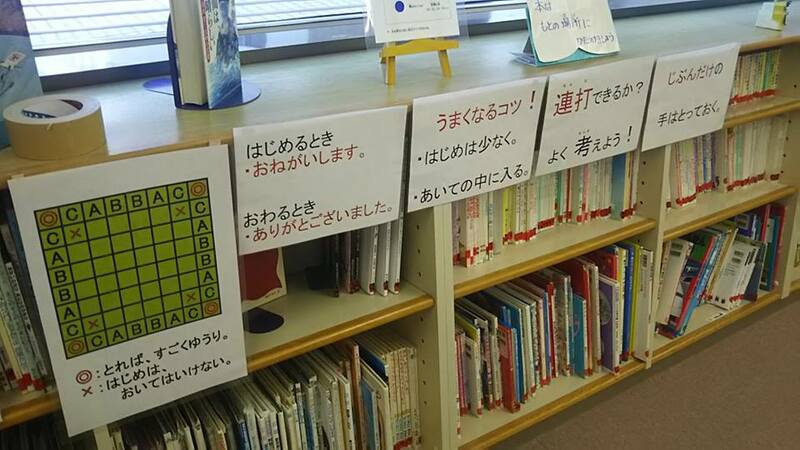 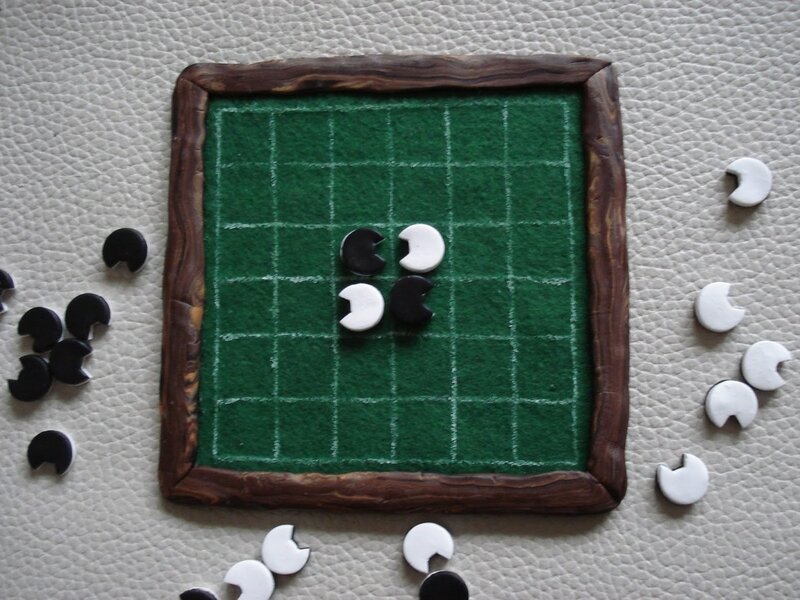 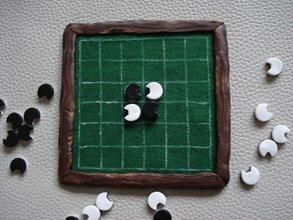 When I was Japan I saw kids play 6x6 Othello but I have never before seen the 8x7. 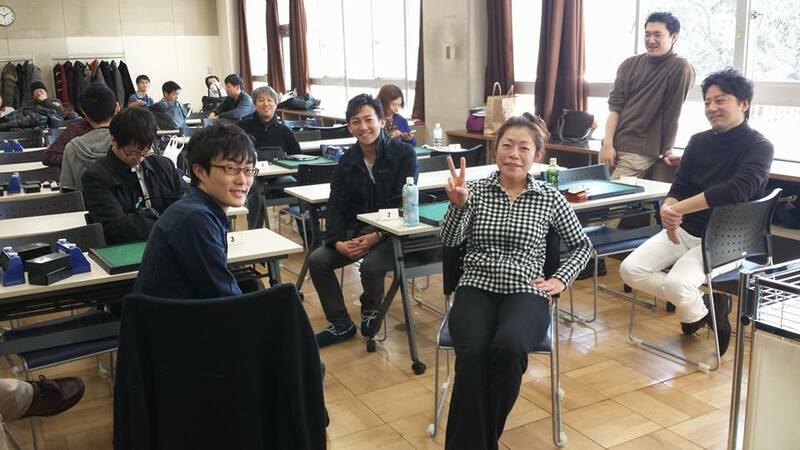 I can sort of understand the look on Makoto's face: how to tackle this lopsided dilemma? 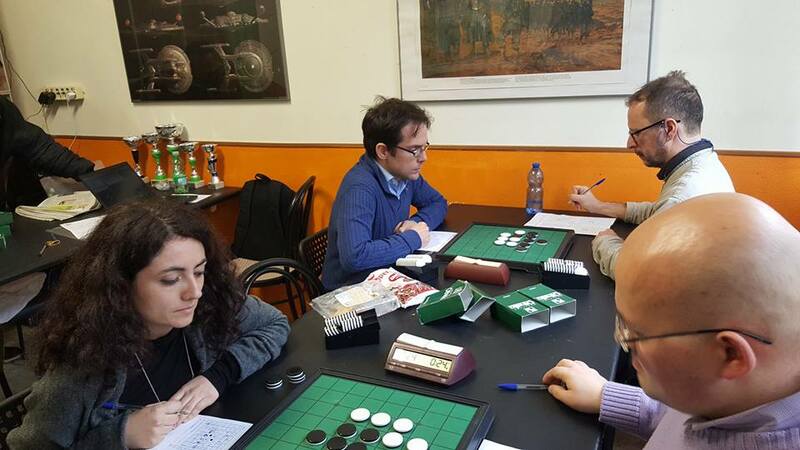 Tom Schotte started the tournament with a bye and then lost in the second round against his sister- in- law Rosalinde de Boer. 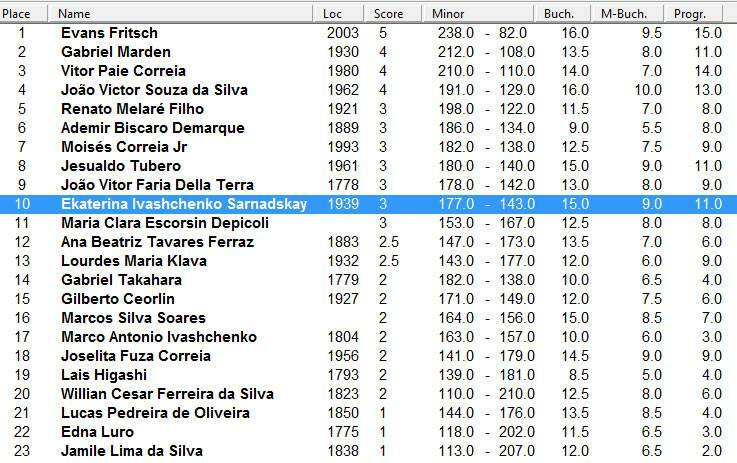 The next 8 rounds were all wins for Tom undefeated. 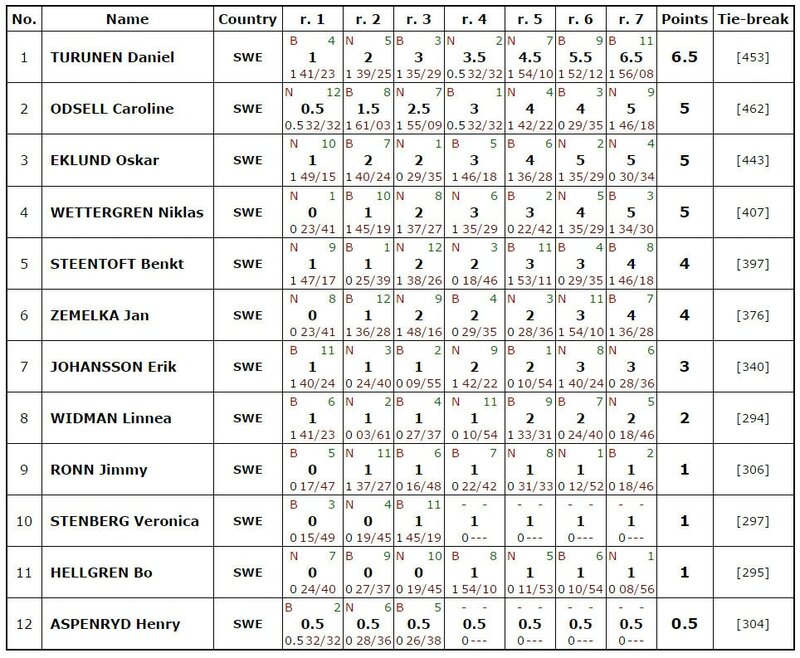 Rosalinde finished 2nd with 7/10. 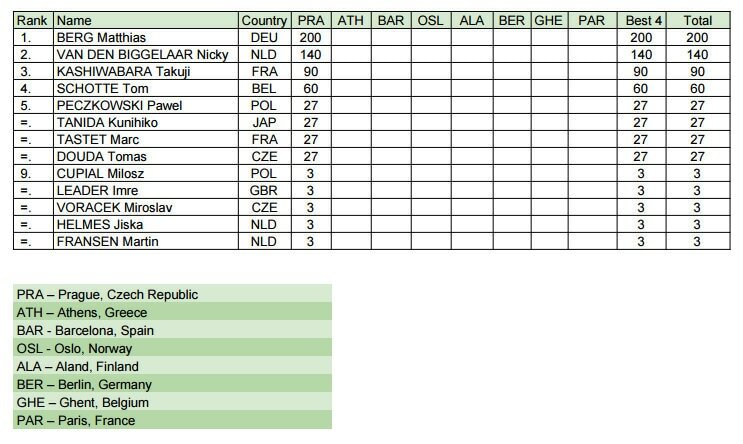 Third place for Nick Reunes. 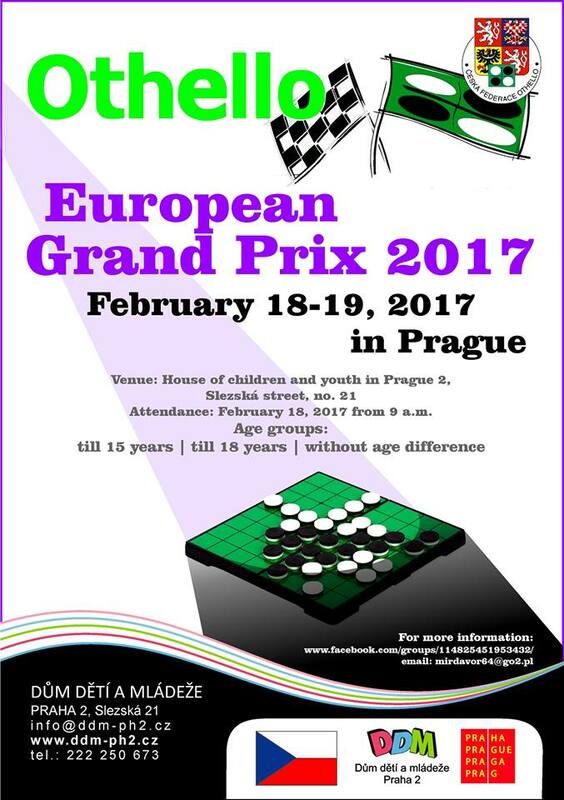 Did You Know??? 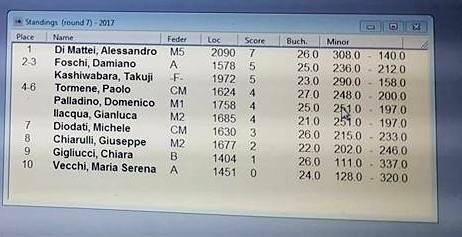 : this was Tom's 20th official tournament win in Belgium! 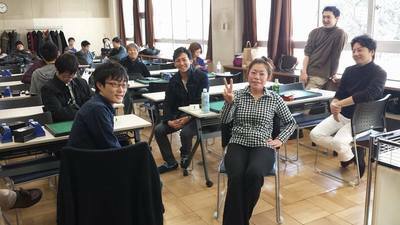 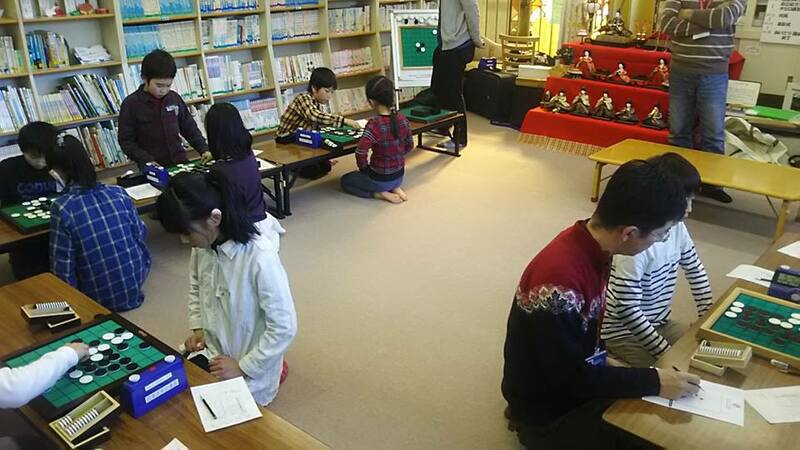 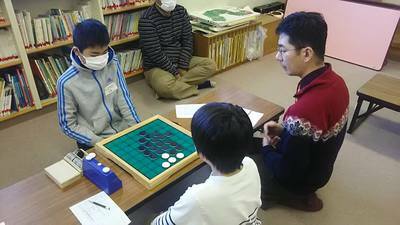 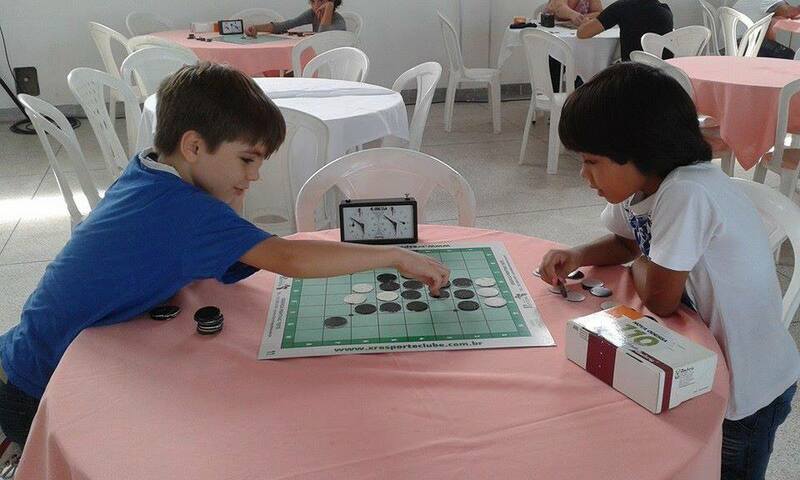 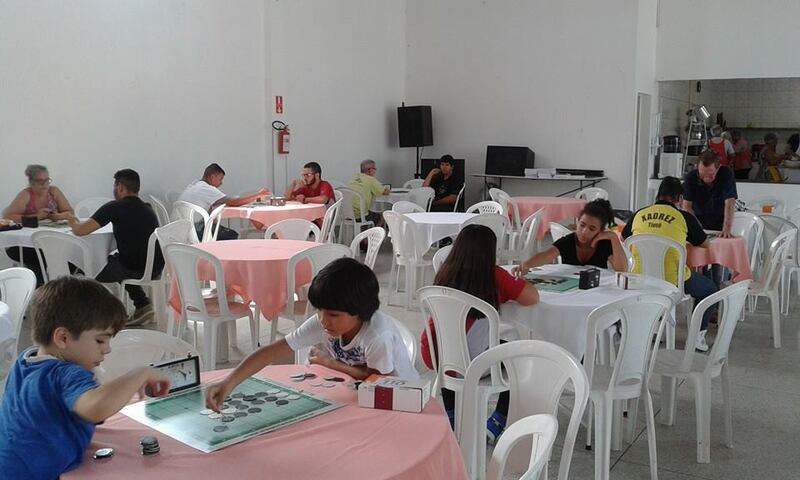 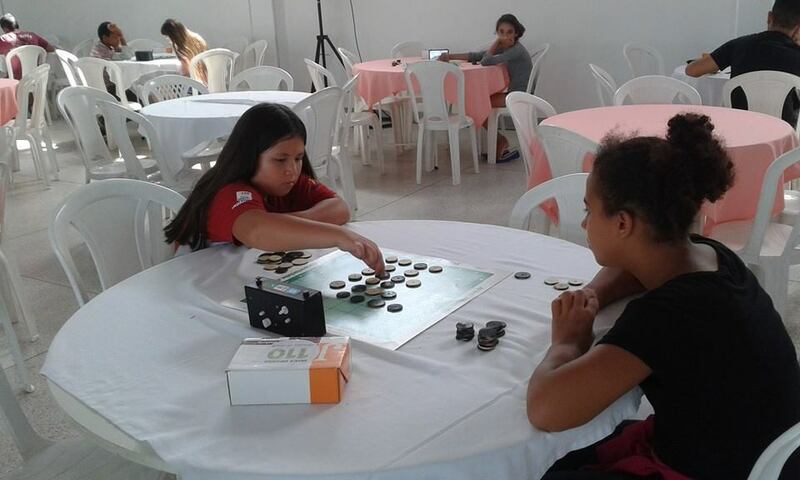 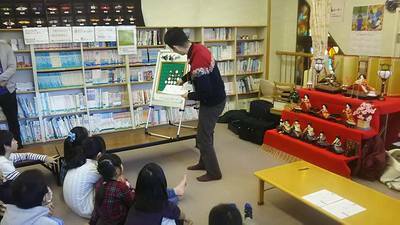 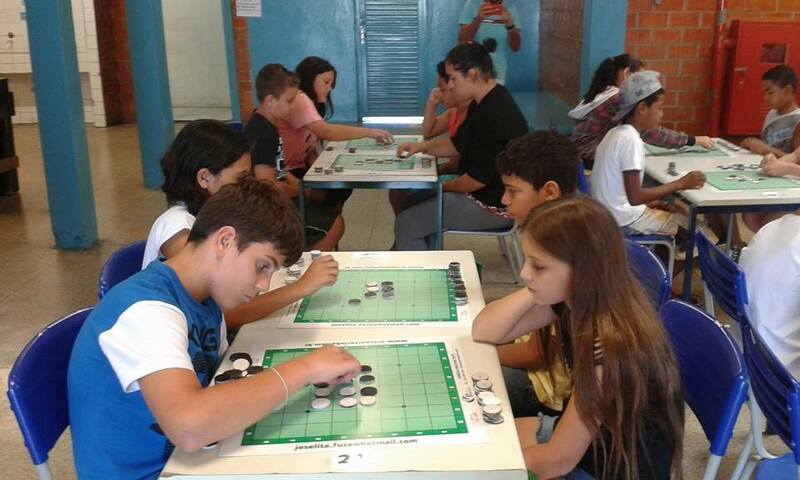 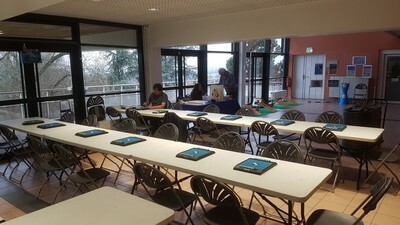 ​A nice gathering for elementary school children, with Othello teaching and a 4 round tournament. 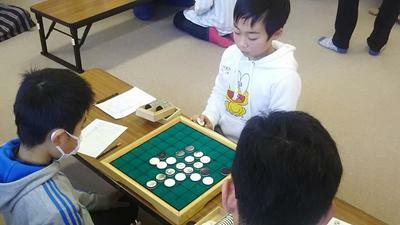 Tomoki Tanabe won all 4 rounds. 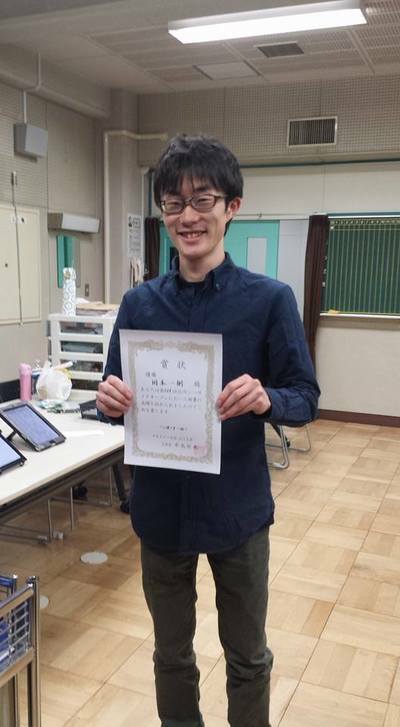 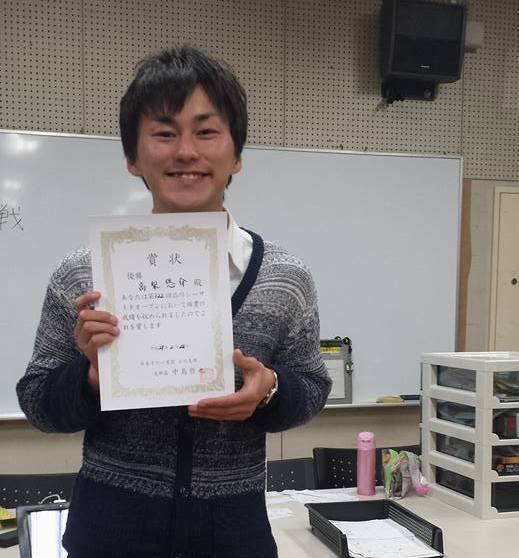 Congrats Tomoki! 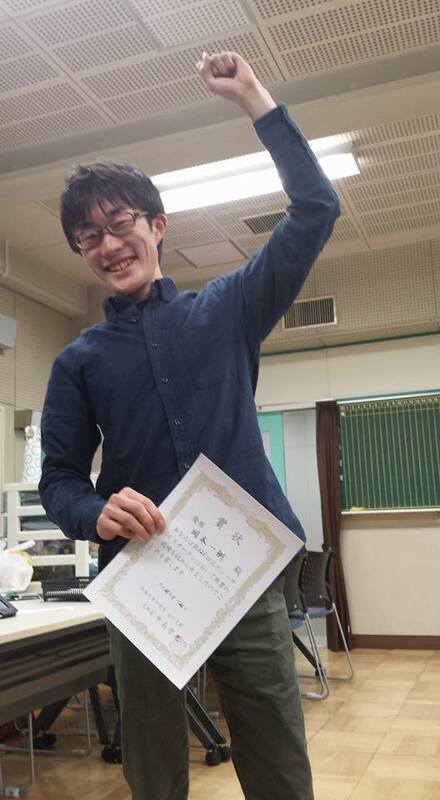 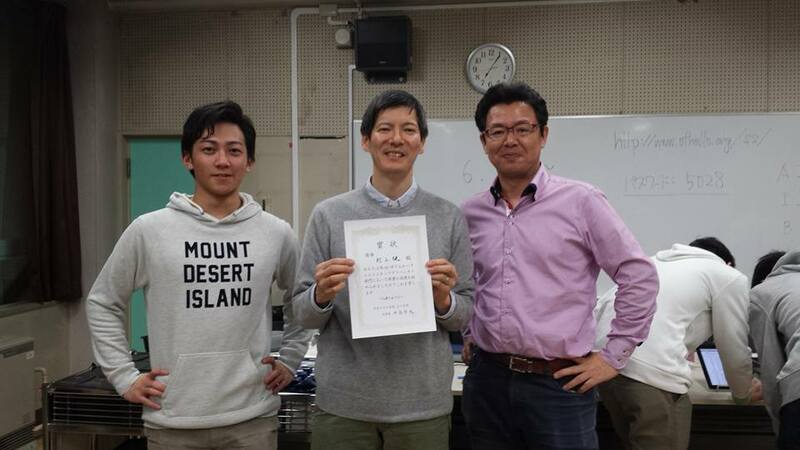 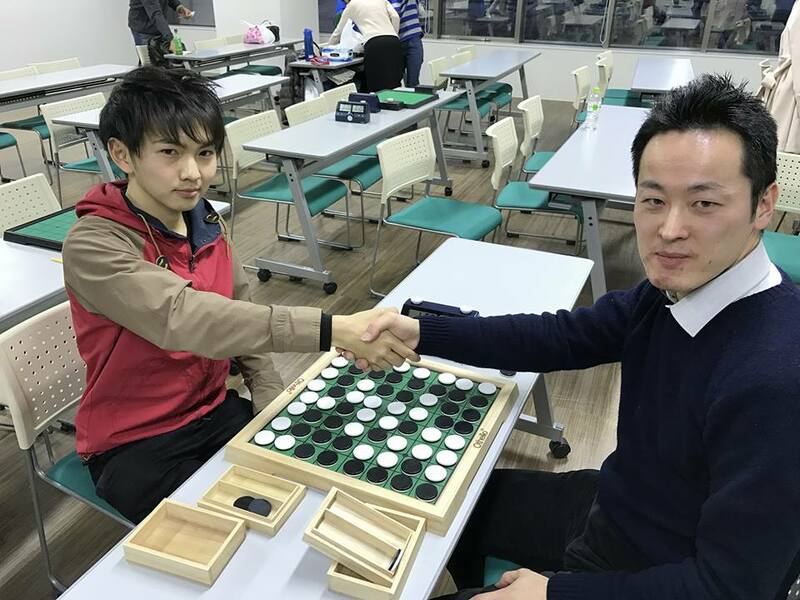 29 players came to Shinagawa and the undefeated winner was Yusuke Takanashi. 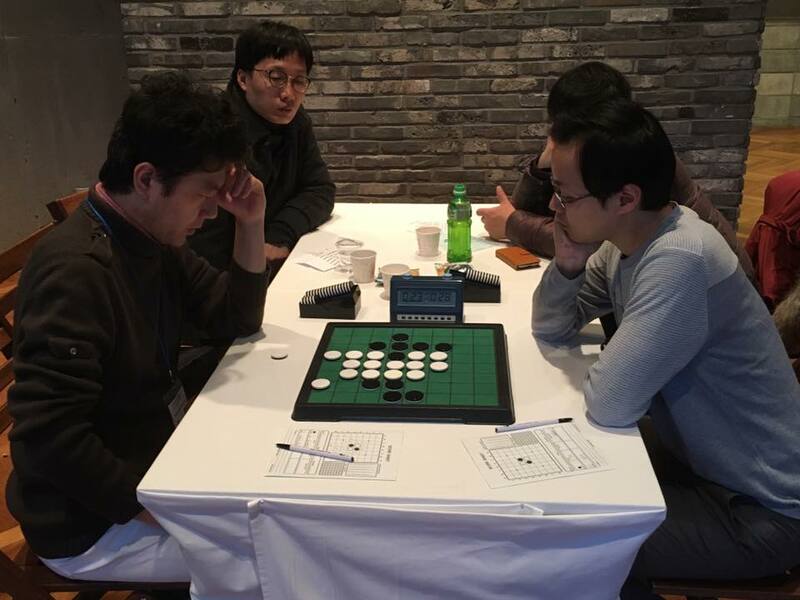 Second place for Takashi Yamamoto who scored 5 wins but lost to Yusuke in the third round. 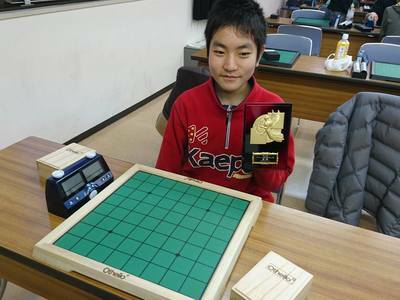 Also 5 wins for 3rd place Kenta Kiyonobu who lost in round 4 against Makoto Suekuni. Best lady: Yukiko Tatsumi she won 4 games and..... sent us the pictures and the info. Format: 7 rounds, each team consists of seven players. The JOA and the KOO plan to make this a yearly event. 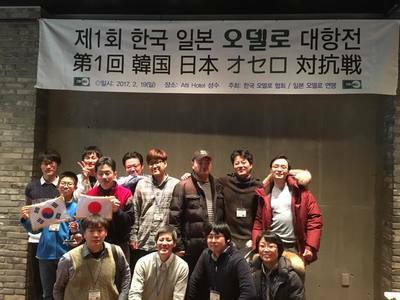 Team Korea is invited to play in Japan next year. 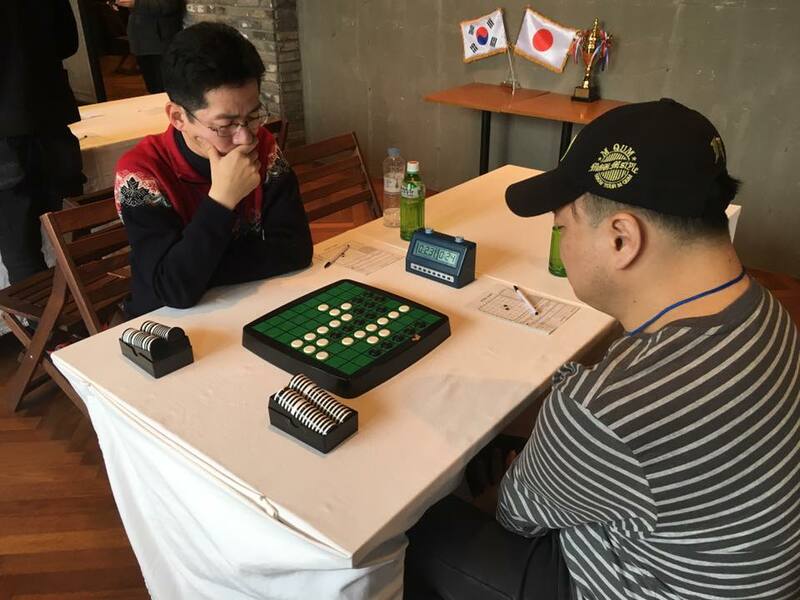 Japan is a very hard opponent as the final result shows but all too well, 42.5 points for Japan and 6.5 points for Korea. 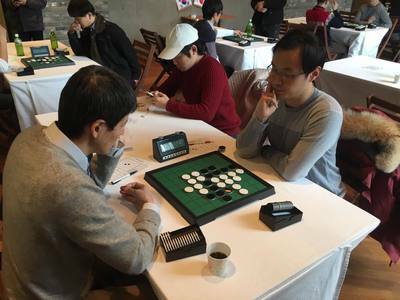 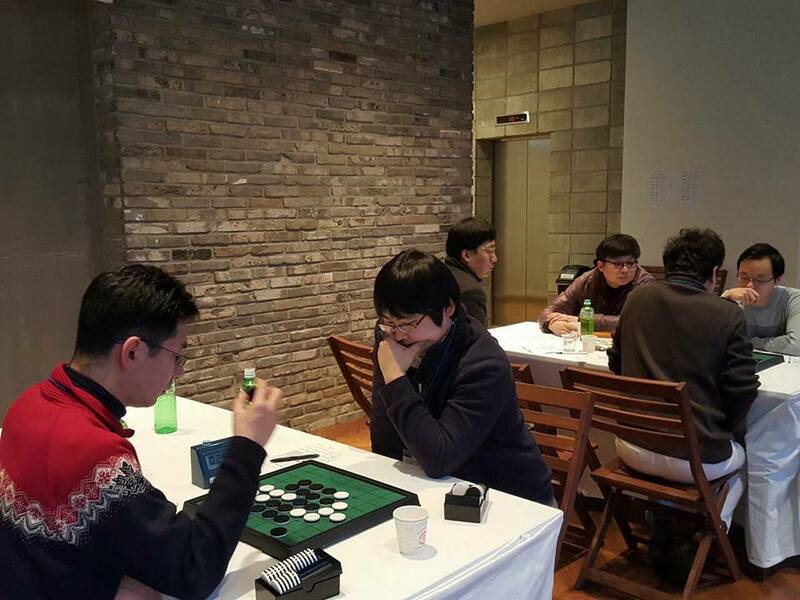 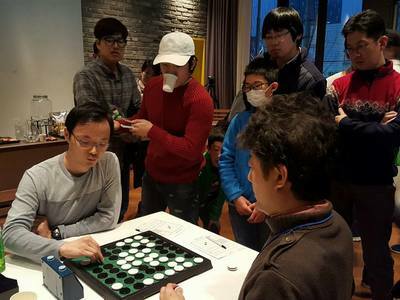 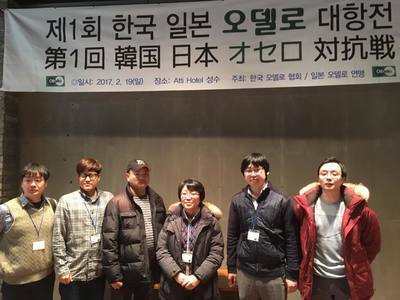 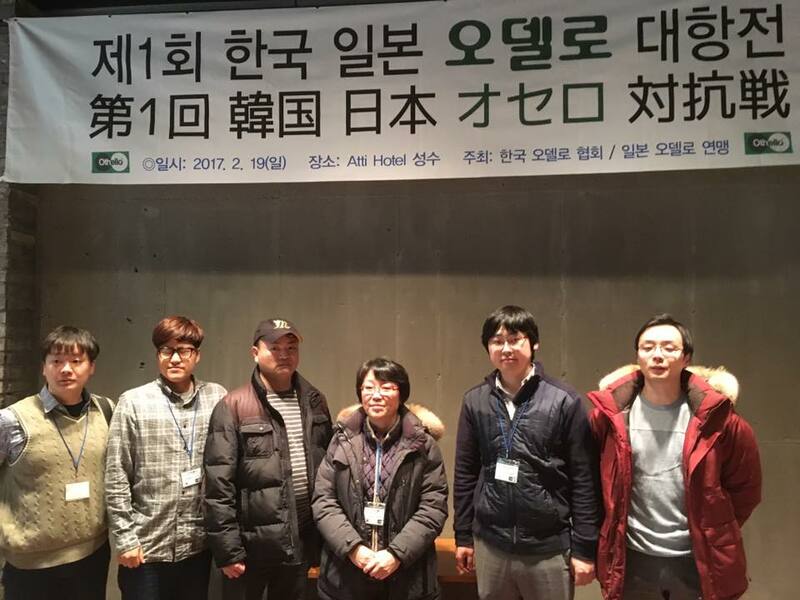 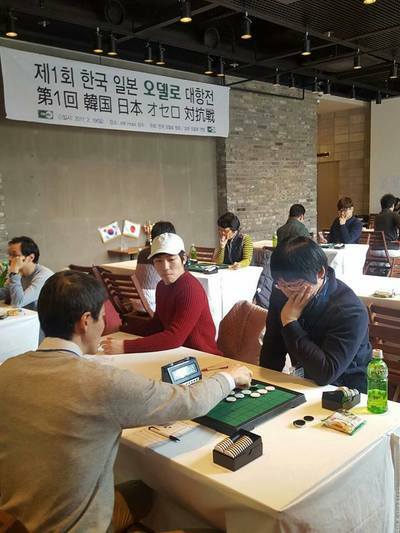 The Korean Othello Organisation is very active and I am sure there will be more wins for team Korea next year. 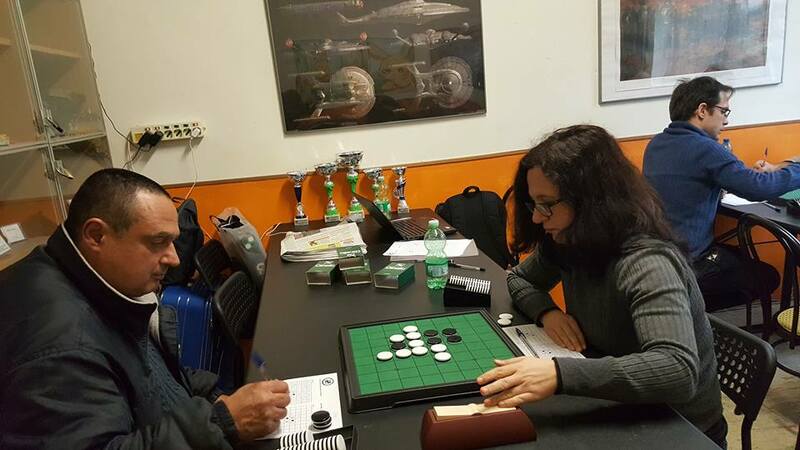 In the final round Shani tried to help her brother Michael and won against Danielle, but it was not enough... Brightwell victory to Danielle! 6 boys and 4 girls played at this tournament. 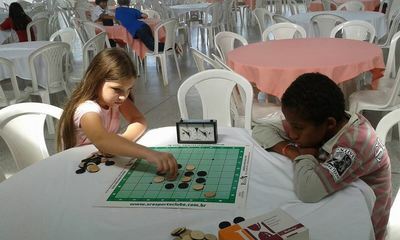 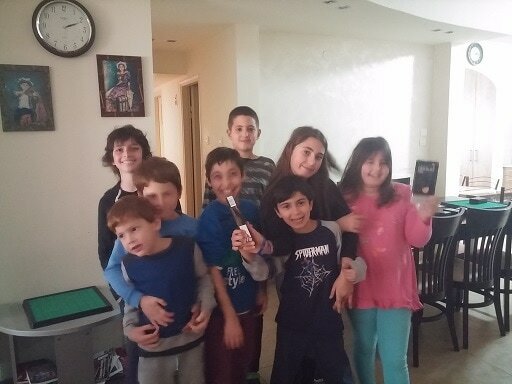 The girls (Danielle, Shani, Asol and Ofir) have won 8 : 4 in match girls - boys!.. 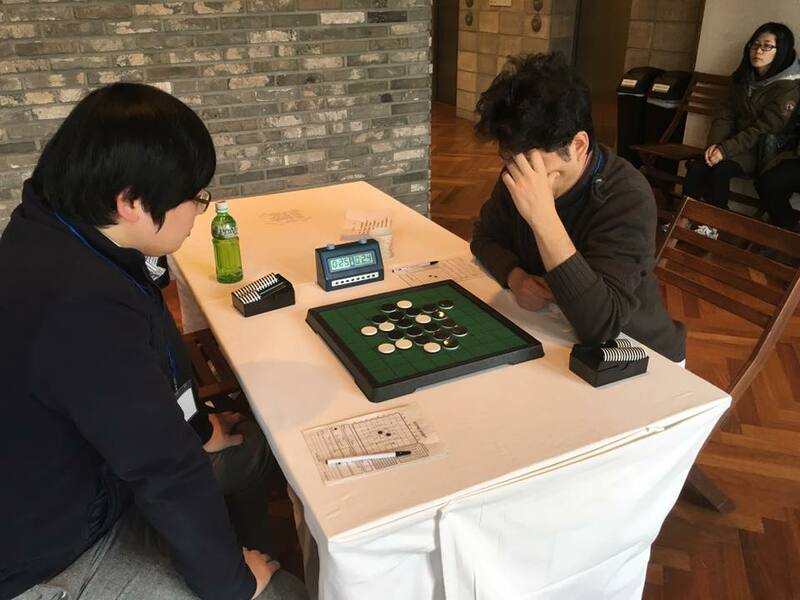 Touya Yamazaki won the tournament with a perfect score of 7 wins! Second place for Yuji Miyazaki who scored 6 wins and 1 loss in round 5 against Yamazaki. 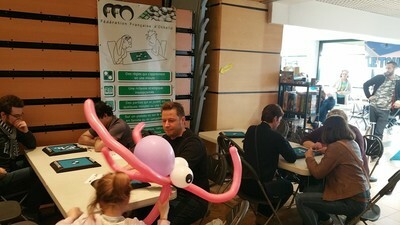 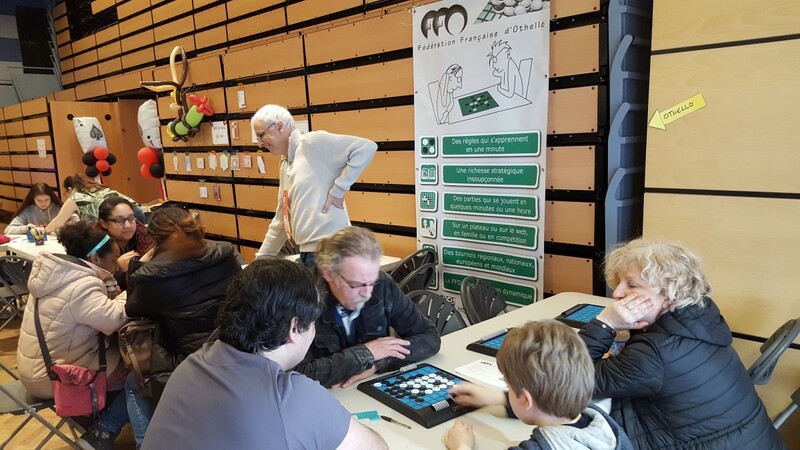 The FFO was present at the 5th edition of the Festival du Jeu at the Espace Jean-Marie Poirier. The first three days were devoted to welcoming school children. 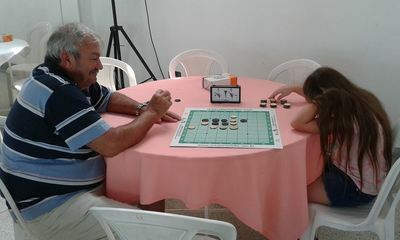 The stand was set up with 12 boards to accommodate up to 24 young players at the time. In the weekend the stand had 6 boards set up, which proved enough to accommodate the families that visited the festival in the weekend. 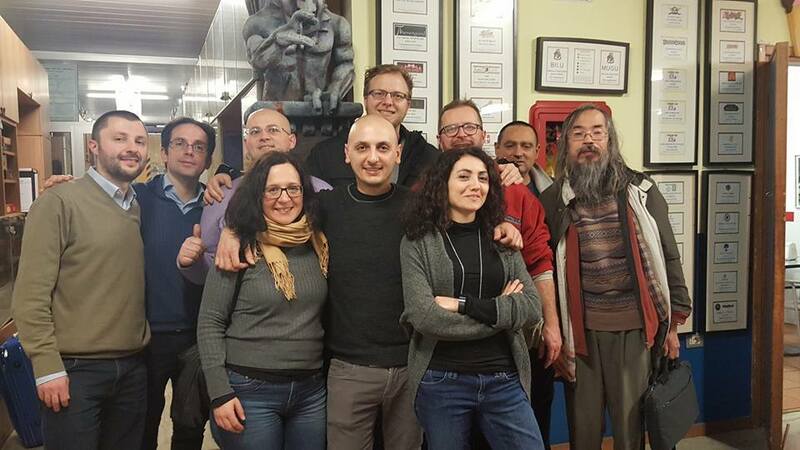 Several members of the FFO he;lped out during these five days: Serge Benoit, Monique Lecat, Thierry Lévy-Abégnoli and especially Michel Busuttil, who is warmly thanked for his permanent presence, from Wednesday to Sunday. Hibiki Okizaki and Takanari Oshimizu qualified for the final with 5 wins and 1 loss. Hibiki won the final, I am not too sure about the final score but a quick look at the picture makes me quess ittttt was a 31-33 win. 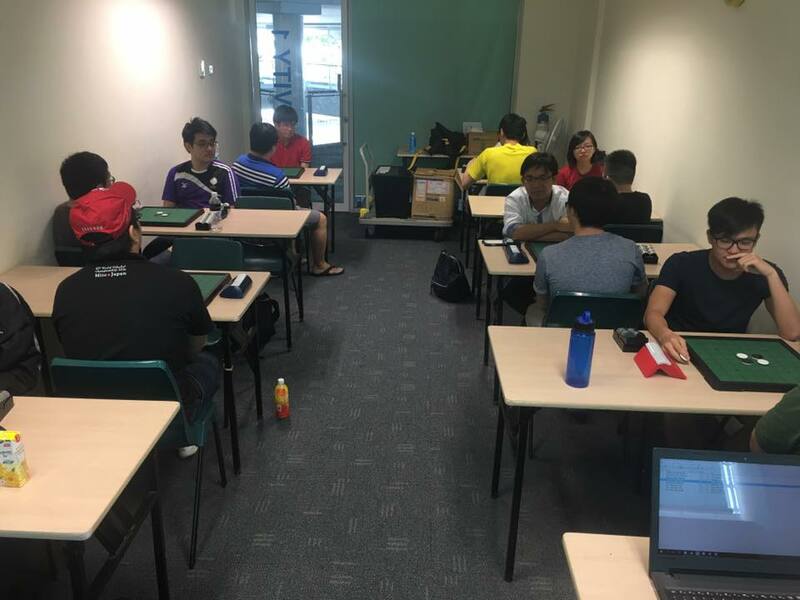 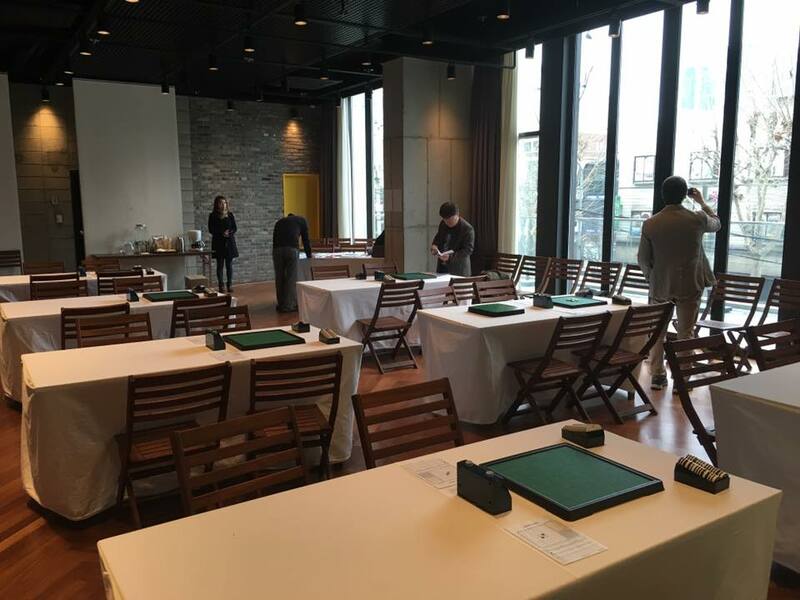 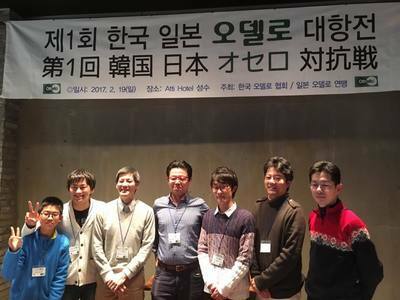 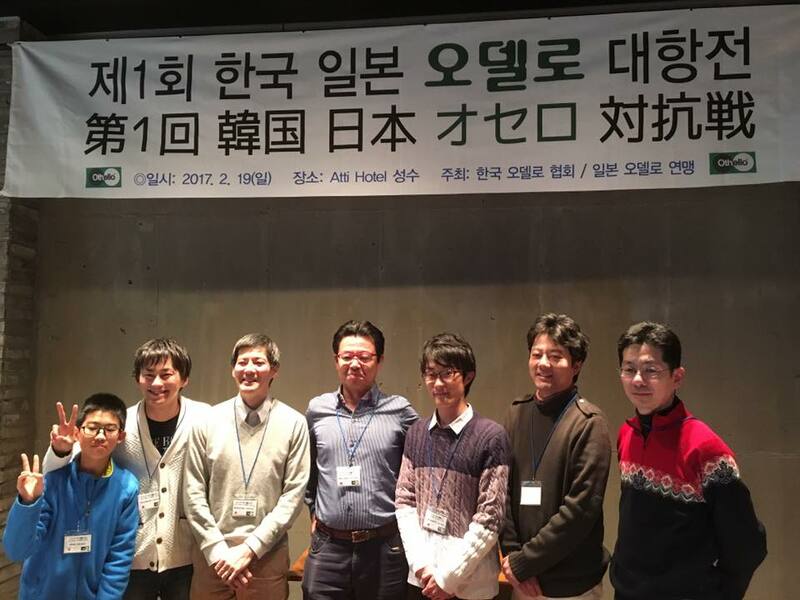 10 players in the Advanced division and also 10 players in the Intermediate division at this 113th Shinagawa Seaside Challenge Cup. The top three all scored 4 wins and 2 losses. 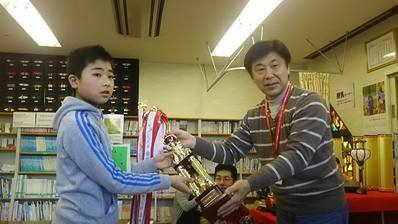 Takeshi Murakami was the best of the three. 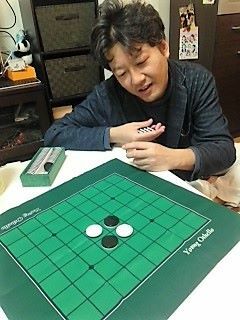 I hope Takeshi will post some interesting games at his blog, if he does, Othello News will re-post them asap. 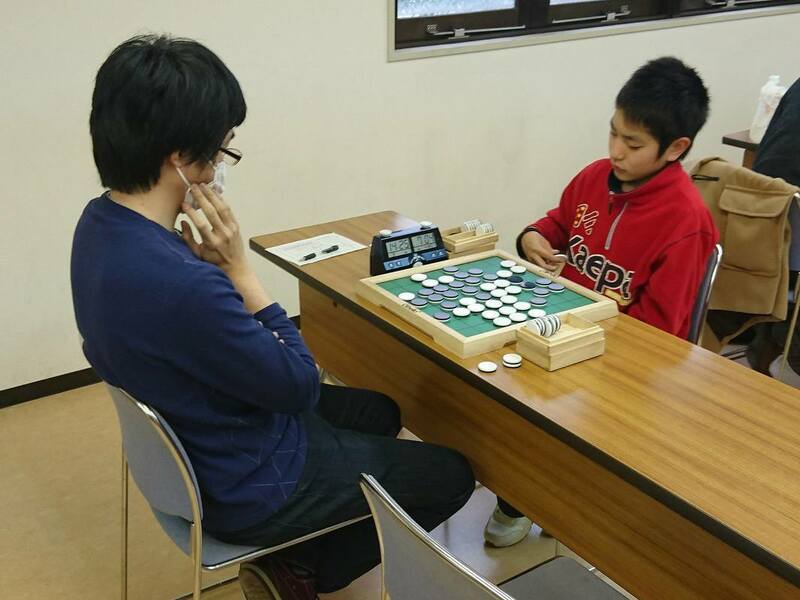 Kazuki Nakamura wins with 5 wins and 1 loss. 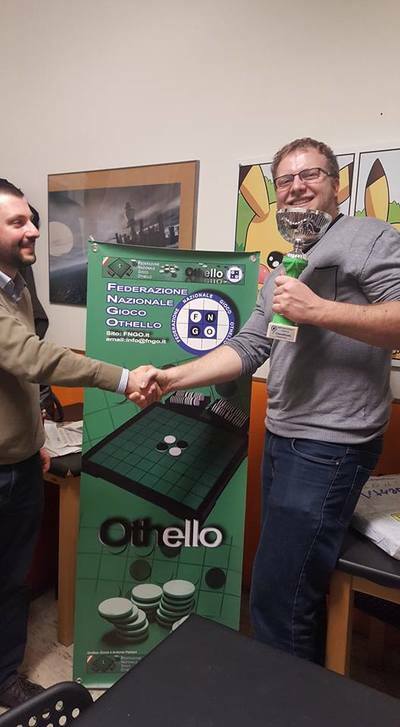 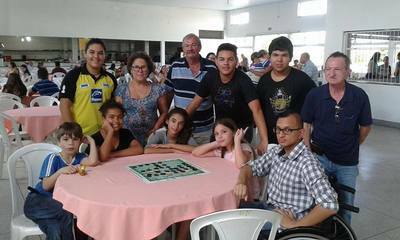 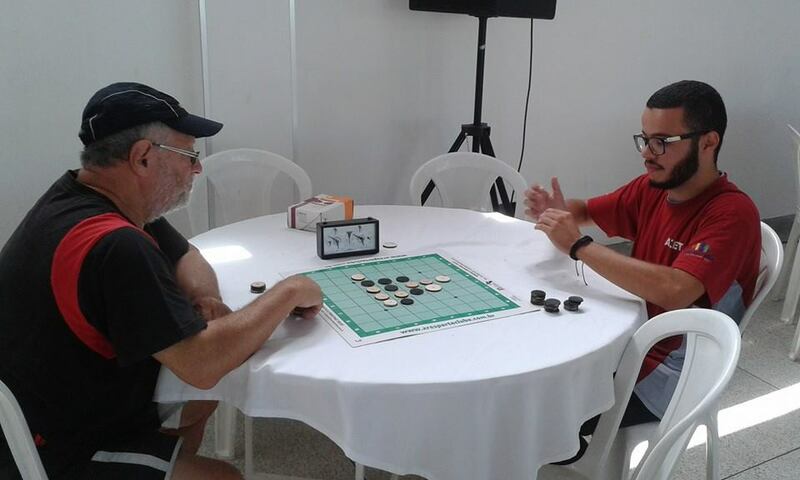 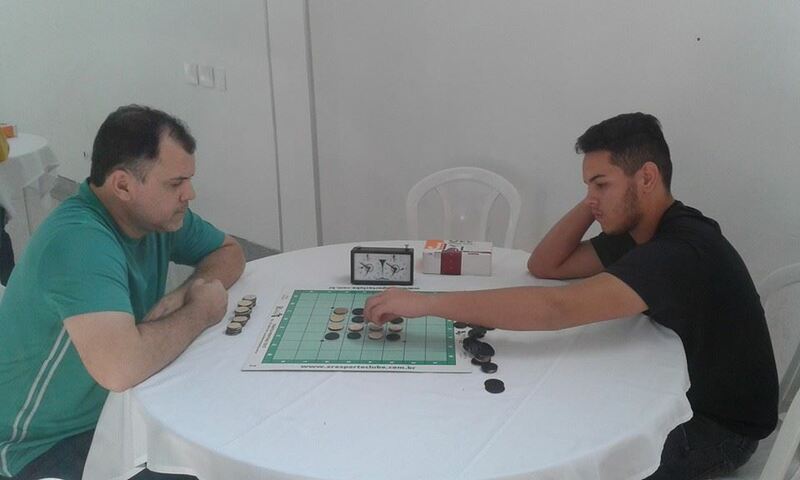 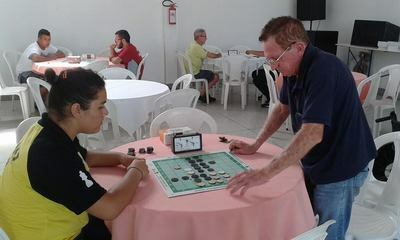 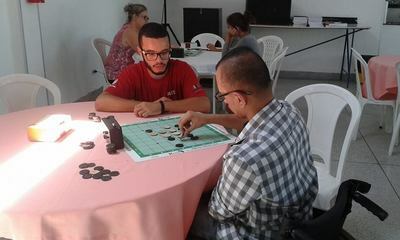 Evans Fritsch scored 5 wins and was the best of the 23 players at the VII Copa de Othello. 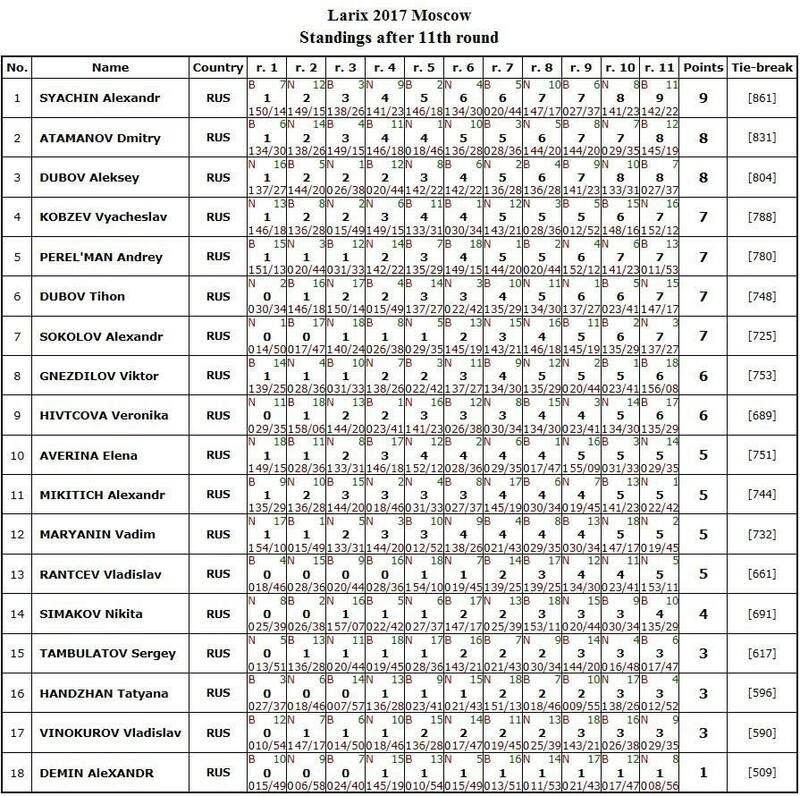 Best female player was Ekatarina Ivashchenko Sarnadskaya who finished 10th with 3 points. 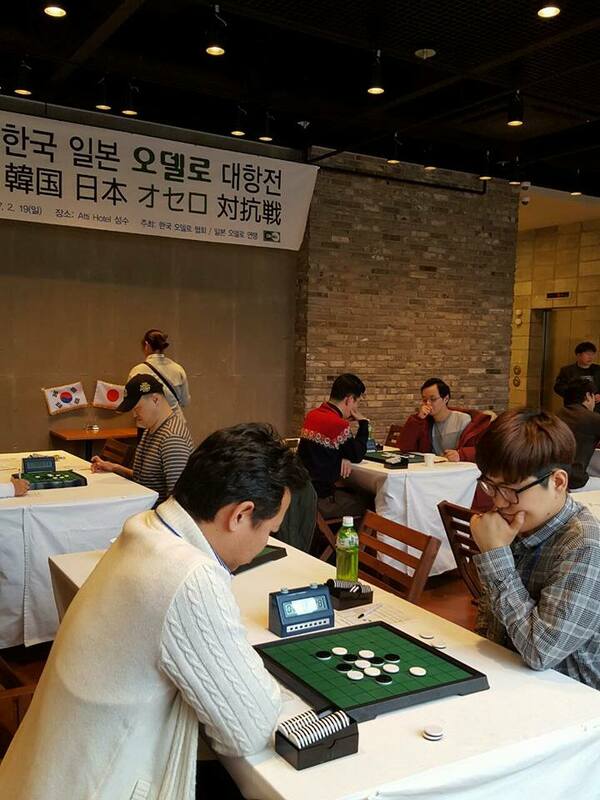 Next tournament is scheduled for March 25th. Back at the Dutch tournaments some familiar faces. Arnoud Meijer had not played at tournaments for 5.5 years The win was for Patrick Aubroeck, runner-up was Roel Hobo. 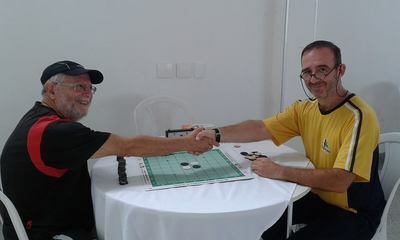 Jan de Graaf and Roel Hobo played their 100th mutial game! 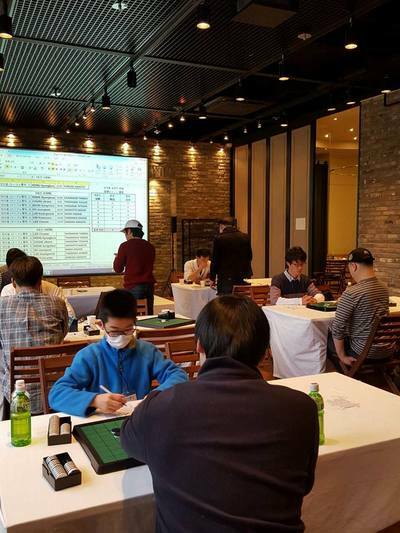 Results per round can be found here.